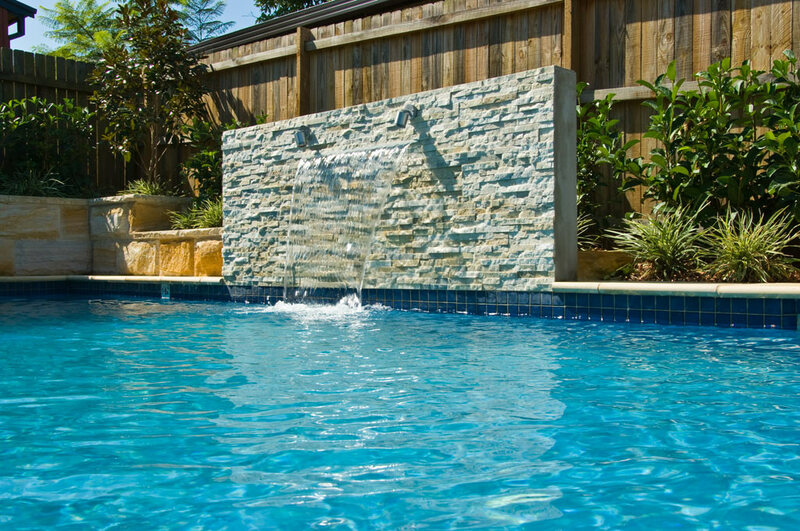 Limited space doesn’t have to limit your pleasure. 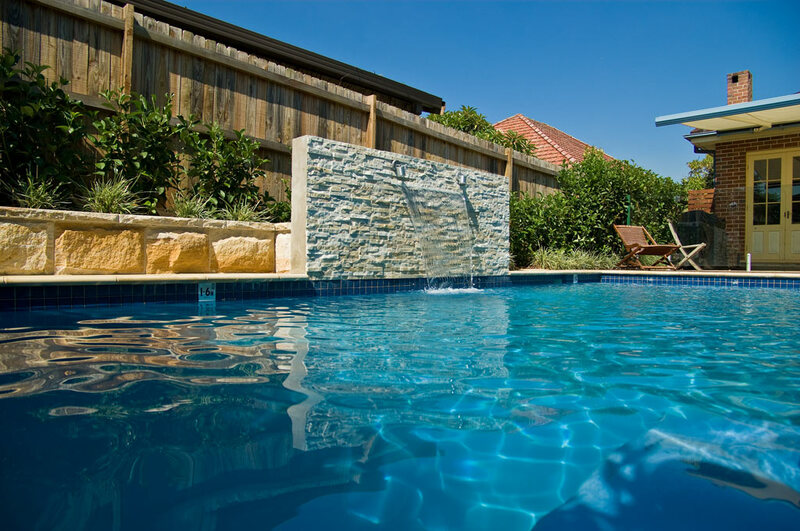 This terrific family plunge pool takes perfect advantage of a small backyard to provide a great recreational space that can be enjoyed by the whole family. 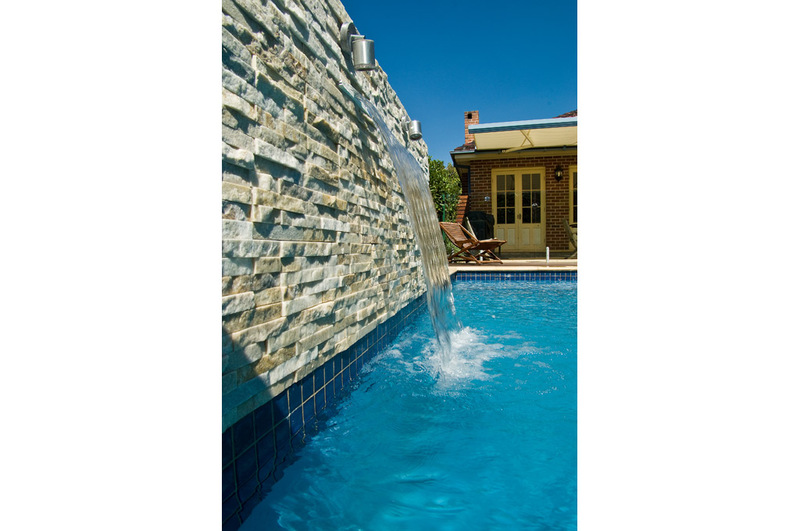 Incorporating a stacker stone up-stand wall with sheer descent water feature, the visual appeal of this family plunge pool is irresistible. 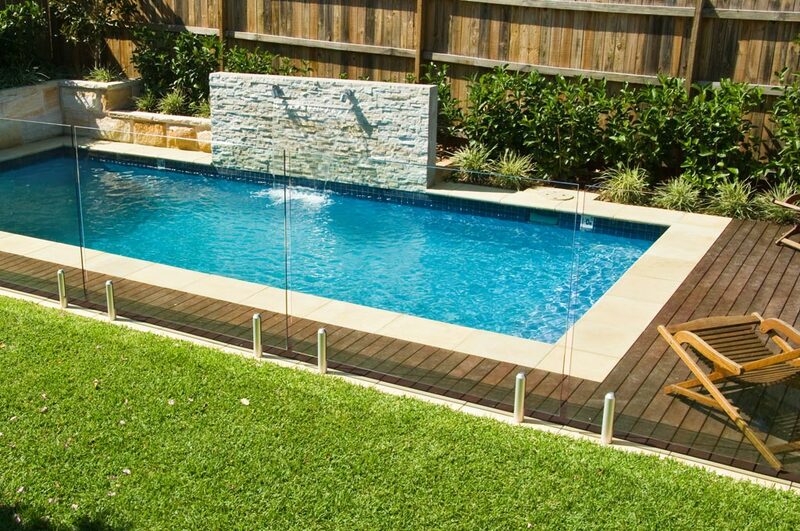 Merbau timber decking and natural Himalayan sandstone coping allow plenty of space for soaking up the sun. 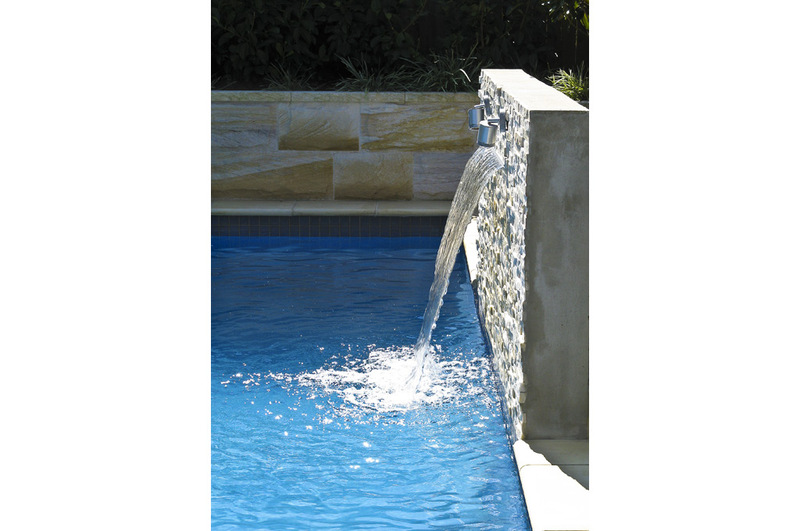 Landscaping is simple but effective, with a natural Australian sandstone block wall bordering a raised garden bed. 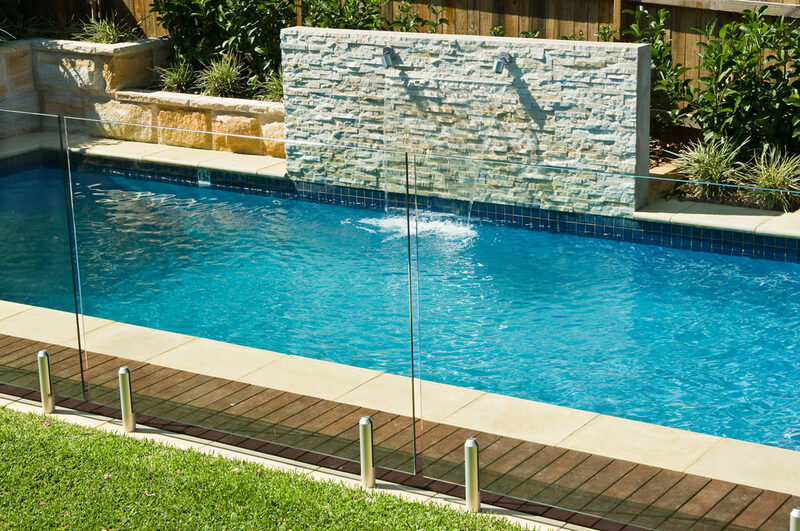 Frameless glass fencing ensures an uninterrupted view from the house. 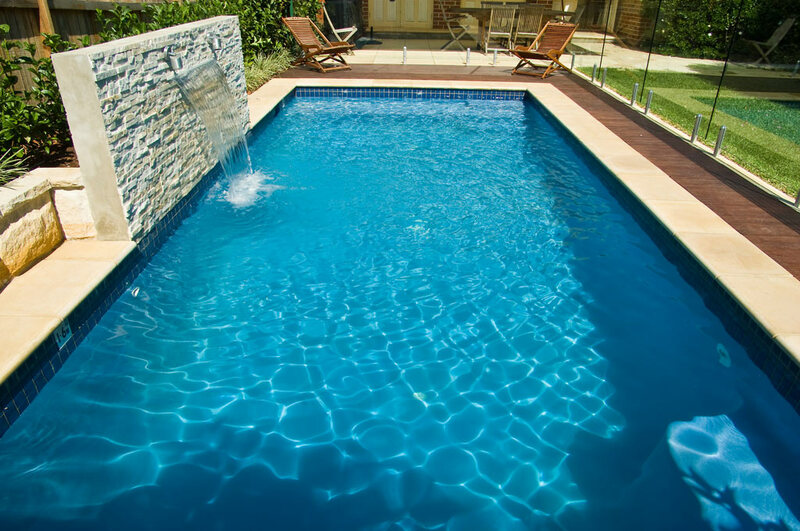 Forward planning was essential for construction, with the pool installed prior to other home extensions, allowing for easier access to the site and minimal disruption.